From the late 1960s, through the 1970s, there was a New Golden Age in Hollywood. This was a time when popular movies were also good movies, but also a time when edgy films could be popular. If there was a Venn diagram to represent it, then the circles for ‘Edge’, ‘Popularity’, and ‘Good’ would all overlap completely. Moreover, during this time, Edgy/Popular/Good movies also won Oscars. After all, between 1969 and 1979, Best Picture winners included Midnight Cowboy (1969), The French Connection (1971), The Godfather (1972), The Sting (1973), One Flew Over The Cuckoos Nest (1975), Rocky (1976), Annie Hall (1977), and The Deer Hunter (1978). There was literally no other decade in film history where this kind of thing happened. But then, as with all good things, this era passed with the advent of the 1980s and the era of Oscar Bait. I used to think Oscar-bait movies were invented in the 1980s, mostly because I came up in the 1980s and, like most people, I am naturally inclined to believe nothing existed in the world until I was around to witness it. And while I know this is untrue, I do know the 1980s was when Oscar-bait formula was perfected: take some very proper British actors, or at least vaguely European, and plop them down in some sort of period piece, preferably in an exotic location, where they will act out some epic story while wearing frilly costumes. If the story can be some sort of class-conflict thing, all the better. Also, while making the film, it’s more important to appeal to the widest range of Oscar voters – costumes, cinematography, music – than on making a compelling story. To draw an analogy, it’s this: the advice for success in business is to dress for the job you want, not the job you have. Therefore, the rule of Oscar-bait is if you want to be an Oscar winner, you have to look like one. And the 1980s were the obvious heyday of Oscar-bait, given there were such Best Pictures as Gandhi (1982), Out of Africa (1985), The Last Emperor (1987), and Driving Miss Daisy (1989). But though the 1980s were the heyday, the trend carries on to this day: Braveheart (1995), The English Patient (1996), Shakespeare in Love (1998), A Beautiful Mind (2001), and The King’s Speech (2010). But while they perfected the formula in the 1980s, the truth is they were always making Oscar-bait, it’s just that years ago the Oscar-bait movies were usually musicals (e.g. On The Town) and star-filled extravaganzas (e.g. The Greatest Show On Earth). That said, occasionally they did make the type of Oscar-bait films we’d recognize today, even if they didn’t actually win Best Picture: in 1964 there was Becket, in 1965 there was Dr. Zhivago, in 1966 there was The Sand Pebbles, in 1967 there was Guess Who’s Coming to Dinner, and in 1971 there was a little film called Nicholas and Alexandra. 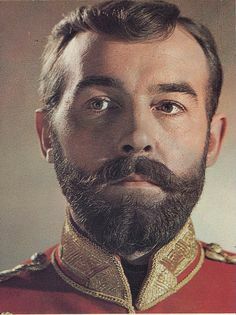 Nicholas and Alexandra is the story of the last days of the last of the Russian czars, or last decade of the last of the Russian czars, beginning with the birth of Czar Nicholas’ only son, Alexi, to Nicholas’ eventual abdication of the throne and execution of the royal family at the hands of the Bolsheviks. Nicholas and Alexandra was Franklin Schaffner’s follow-up to Patton, which won him the Best Director Oscar, and which itself was his follow up to Planet of the Apes, which is otherwise a classic. Patton has less-ideas about it, but does have an exciting first half or so, when Patton goes all megalomaniac. Then, after Patton is basically drummed out of active service, the film becomes inert and studio-bound, for all the wrong reasons. Worse, it get’s boring. Nicholas and Alexandra dispense with ideas, and drama, and instead prefers to be inert from the outset, with performances uniformly sedated and a story the color of boredom. Of the three, Nicholas and Alexandra is the least of them – is obviously the least of them – and in almost every way it comes across as a terrible misfire. Even if the film were showered with all the money in the world, it still could not be saved. The sets and costumes are meant to be lush and beautiful, but given the film is shot with flat, even lighting, and not even the barest hint of a shadow, it film lacks a depth-of-frame, or any visual flair to keep us interested. In all, it was all filmed on a set, and looks it. The acting is generally uninspired and the line readings flat, said in a breathy-whisper, and without any hint of inflection. Michael Jayston is ostensibly the star, playing Czar Nicholas, but hardly seems it – he does not exactly command the screen. As a man who’s entire world is coming down around him – much of the plot hinges on whether the czar will, or will not, abdicate his position – Nicholas hardly seems moved by events as much as bemused by them. Even when he’s angry the most he can do is bug his eyes a little, which makes him look less intimidating, and more like he’s trying to pass some extremely painful gas. The bad thing is Laurence Olivier is in this film, almost unrecognizable at times, and even though he’d have been far-too-old for the part of Nicholas, even being too old, he still would have been better. He just gets how to do this type of material. Janet Suzman was nominated for Best Actress as Alexandra, which says as much about the state of roles for women as anything else, given she really doesn’t give a performance. At most, she whispers somnambulicly. The best to be said of her is she’s there. The only time either Suzman or Jayston bring any flavor to their roles, it’s in the wrong way. To wit: after he abdicates, Nicholas has an emotional breakdown. It’s a scene where we’re meant to take his sympathies, so all he keeps saying is, “Please! Please! Please!” over and over again, which does not inspire sympathy. It inspires laughter. Say what you will about Patton, and how the movie falls apart in the second half, when the mythmaking of Patton gives way to the contrition of Patton, at least George C. Scott was dynamic and holds the screen. He is a movie star and you can’t take your eyes off of him. But, there is a reason why Suzman and Jayston are basically unknown outside this film – they don’t seem to have the dramatic goods to carry in the groceries from the car, let alone an entire movie. The only memorable character in the film – in the right way – is Tom Baker, as Rasputin, but that seems to be because he’s in a different movie than Suzman and Jayston. While they sleepwalk, Baker makes his Rasputin a wide/wild-eyed weirdo. A debauched zealot. Yes, he could be a bit more outré –he’s gonzo, but outré in the very reserved style of the film – but it’s hard to look away from him. Too bad Rasputin doesn’t make it beyond the midpoint of the film, poisoned as he is by his own enemies, which means you have to deal with half the film just being dead. On the whole, this is a film about revolution and death that runs with a slack pace and a distinct lack of tension. If you squint hard enough you can almost see the good movie waiting to get out, if only there was somebody with the vision to do it. If only there’d been somebody like Sofia Coppolla to give it the Marie Antoinette treatment. If that’d happened, maybe there would have been less insistence on hitting certain historical beats, and instead on hitting the rigt dramatic beats. If that’d happened, we might have a good movie. If you know anything about the making of The Godfather you know the film was supposed to be a grubby little crime movie. It was only through the force-of-will of Francis Coppola that it transcended it’s genre origins to become art. Sure, the movie has two huge stars in it, but it’s basically a buddy comedy, and those don’t win awards. To many Americans, England counts as exotic. Some folks would probably like to lump Amadeus in with this and call it Oscar-bait, which is insane. Amadeus is one of the most stylish, operatic films in Oscar history. Czars are the Russian equivalent of Kings.